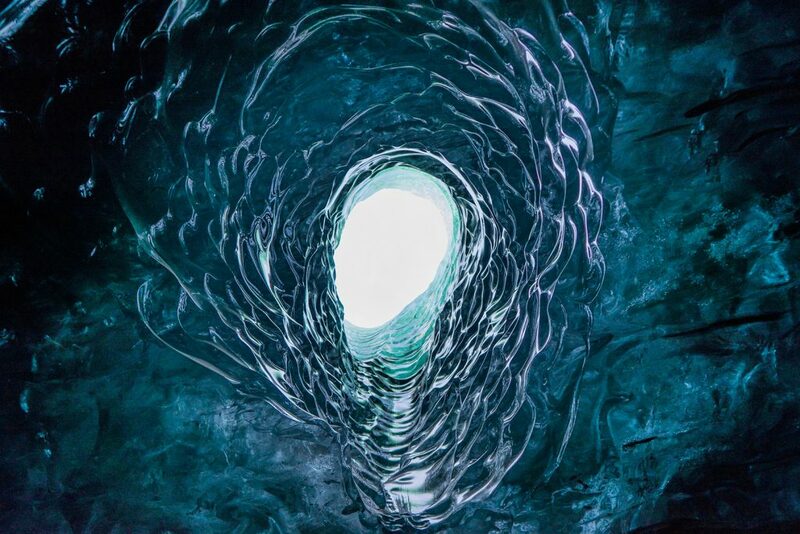 Before you book ice cave tours in Iceland there are a few things you should know. 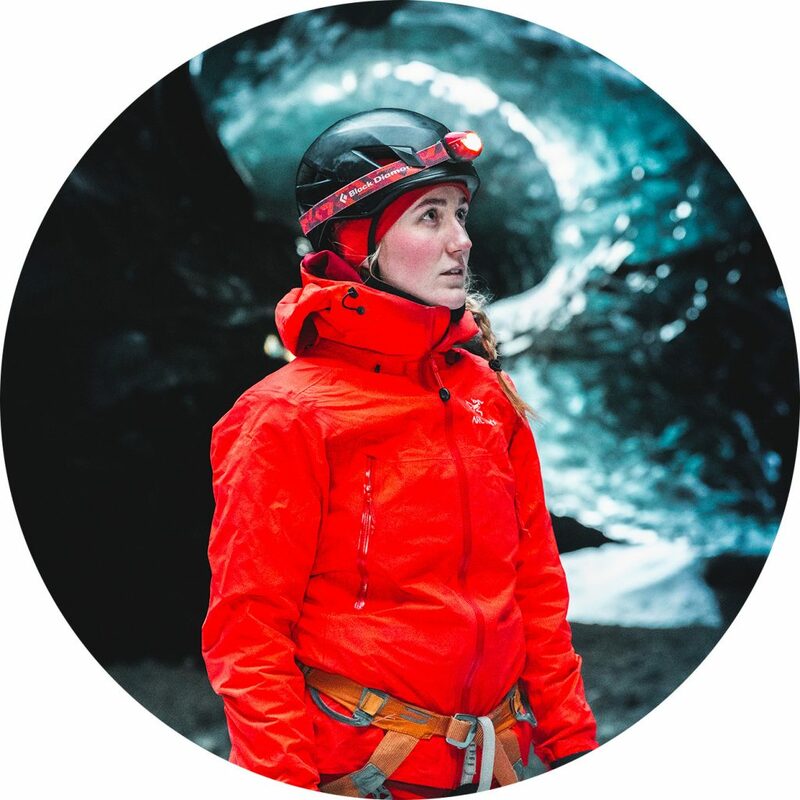 Having worked as a glacier and ice cave guide for about 6 years now, there a few things that I think you should know. 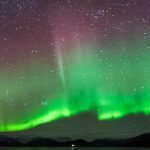 So here is my list of everything you should know about ice cave tours in Iceland. Most of the ice caves can be found in difficult locations, only accessible with a professional guide with glacier traveling knowledge and often it’s only possible to get there with big 4×4 cars. 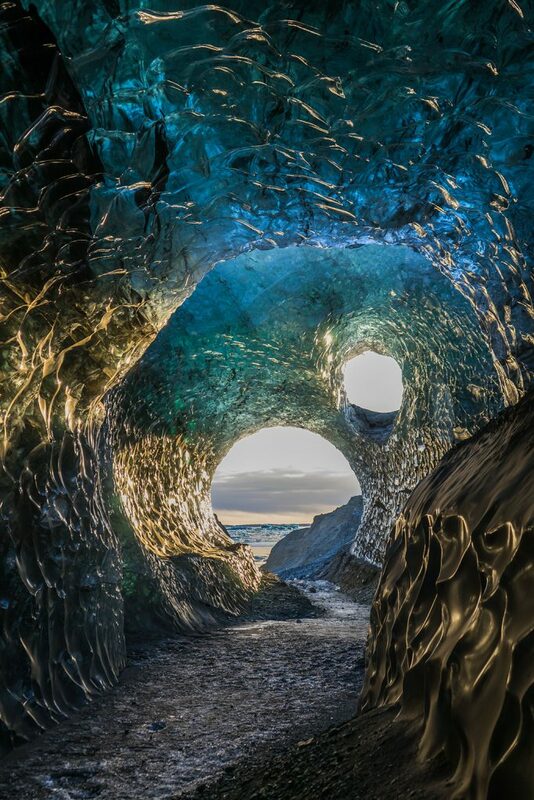 In Iceland, we have one man made ice cave in Langjökull ice cap. 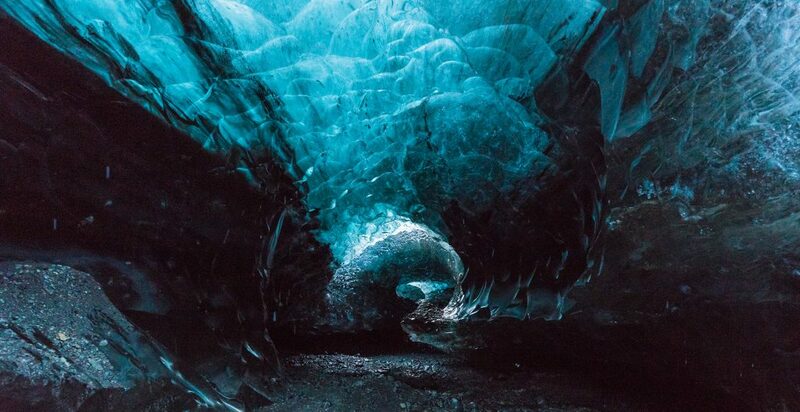 The natural ice caves are found mainly in outlet glaciers in Iceland. Most of the once that have been found and are visited, are in the south-east of Iceland. The main difference between a man-made ice cave or a natural one, despite the fact that its man made, is that the natural one are only accessible in the winter time and they’re constantly changing. The man-made caves are open all year round and are almost always the same. I’m only going to be talking about the natural ice caves in this blog. 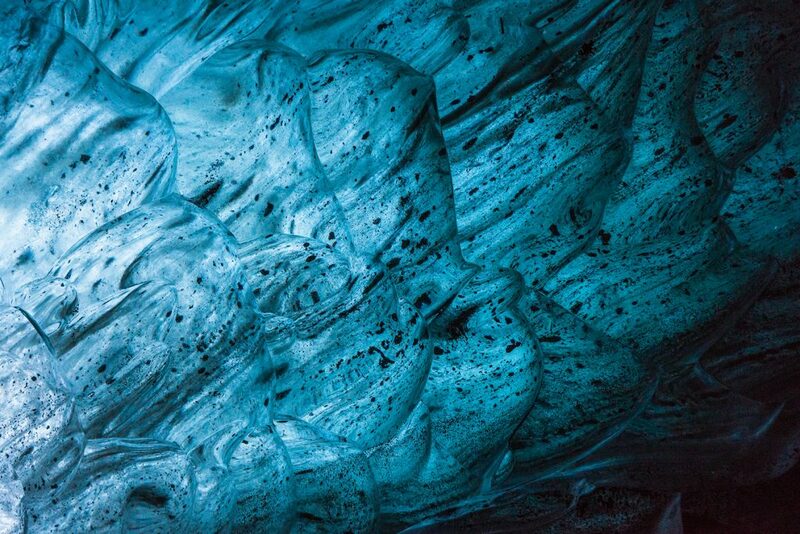 Here below you can see the things you should know about natural ice cave tours in Iceland. Every year the ice caves are different and we will never know until late autumn or beginning of winter if we will have an accessible cave. Every year guides will go out and explore for new caves, but it’s never sure what they will find. Ice caves are formed by meltwater draining out of the glacier (short version), we can imagine they are the plumbing system of the glacier. So that’s the reason why we can only visit them throughout the winter months, in summertime the glaciers are melting a lot, and therefore the ice caves are full of meltwater. In the summer the ice cave itself is melting, causing it to be very unstable. When we get colder temperatures in the winter the ice caves start to be more stable and less melting is going on, that allows us to enter the ice caves when they are not flooded. The ice cave season is from around mid of November till mid of March can vary a bit. Don’t expect to visit the same cave as your friend did last year, it’s never the same, we are dealing with nature. Every year visiting the ice caves we are facing new challenges with fast retreating glaciers, we never know if we will find any ice caves. The picture above is from 2017 and the one below is 2018 in the same cave and you can see the difference for yourself. When reading the description of your tour you can find out a lot about your tour, don’t only look at the pictures. Remember the ice caves are forever changing, so if you are booking far in advance, let’s say you book a tour in July for your trip in November, the photos you are looking at are most likely from the ice cave from last year, this year’s cave will look completely different. The duration of the tour tells you a lot, the longer the tour is the more remote the cave is. The level of difficulty, the more demanding the tour is the fewer people you´ll have. Short walking tells us it’s easily accessible for everyone. The number of passengers, the more people in every group, the less personal the tour is. Time spent in the cave also tells you how much time you’ll have for photography and exploring the cave. In the easily accessible caves, the easier tours (often the cheaper one), you can expect to visit an ice cave where there will be other people and groups. The most accessible caves are the most popular so that’s where you’ll find the crowd. In the more demanding tours (more expensive) where you need to walk for more then 1-2 hours and the tour takes from 6-8 hours you can expect fewer people because they’re harder and more remote. They also require more experienced guides. You won’t enjoy visiting an ice cave if you are losing your breath in every step and you’ll be so tired when arriving at the cave you can’t even enjoy it. Again reading the description is very important, so that you know what tour fits your needs. If you are a photographer or just love photographing, you´ll probably need a little bit more time in the cave then the normal traveler. If you book a commercial tour with maybe 8 or 10 other don’t get angry because you felt you didn’t have enough time or others where always in your way. You booked a pre-organised tour, reading the description before your tour can prevent any misunderstanding. If you have some special requests you can book a private tour. If that’s something you are interested in you can book one with us here. It’s very important to be well prepared for outdoor activities in Iceland especially in the winter time, in my blog about what to wear in winter in Iceland you’ll find a helpful list for your winter travel here and how to dress. 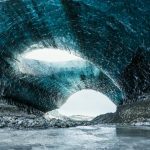 I hope this blog gives you a little bit better idea about everything you need to know about ice cave tours in Iceland and what to think about when booking one. 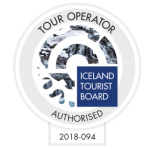 We do offer private ice cave tours in Iceland only upon special request because we want to give people a personal experience, so you can get all the best from the ice cave experience. If you are interested in booking a tour with us, click here.